Following the acquisition of Groupon Malaysia and Indonesia last year, Southeast Asia’s online-to-offline (O2O) company Fave Group (formerly Kfit Group) has decided to perform a hat trick and buy over Groupon Singapore as well. The transaction is expected to close later this week, and no other details regarding the transaction were disclosed. This move comes as a saving grace for Groupon Singapore, as the company was known to have been struggling with slow growth – triggering it to cut over 1,000 jobs and close down operations in seven countries in 2015, including Philippines, Taiwan and Thailand. This recent acquisition is set to solidify the deals and discount platform’s efforts in helping consumers save, while driving growth for local businesses across the region. According to Fave, it connects over 10,000 businesses with 6 million online subscribers on its platform. With a strong base in Jakarta and Kuala Lumpur, Fave aims to build the future of mobile commerce in Southeast Asia. “With one of the highest smartphone penetration in the world at 85% and a highly competitive market for offline businesses, Fave’s ability to connect digitally savvy consumers to offline businesses will play a key role in the company’s success in the region,” said Ng Aik-Phong, Managing Director of Fave Singapore. Fave’s mobile-first approach provides a seamless, cashless transactional experience to online consumers who are looking to discover and enjoy a wide variety of experiences from offline businesses. It started out as a fitness sharing platform back in April 2015, but the Group has since expanded to include various other verticals such as food and restaurants, beauty and wellness, lifestyle and activities, among others. Some of its business partners in Singapore include Naughty Nuri’s, Pastamania, Shangri-La, and Holiday Inn. “Fave helps our business partners succeed in mobile commerce by providing proprietary business tools and access to a highly-engaged consumer audience where they can offer flexible promotions, loyalty programmes and more, with the goal of helping our partners gain new customers and retain existing customers,” said Joel Neoh, founder of Fave. “We are very excited about the opportunity to combine Groupon Singapore’s success with our technology, to further enhance convenience for consumers while creating more growth opportunities for local businesses,” he added. Thus far, Groupon Malaysia has been fully integrated into Fave, while Groupon Indonesia is set to follow suit in the coming months. 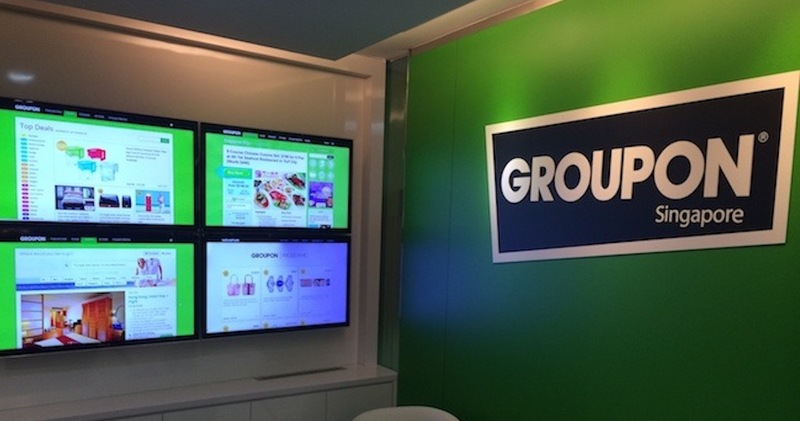 Groupon Singapore will see a similar integration into Fave by mid-2017. “Fave has already proven its ability to grow the O2O market in Indonesia and Malaysia, and we believe that the team will be able to capitalise on Groupon Singapore’s strengths and market-leading position to do the same in Singapore,” said Julie Szudarek, President of Groupon International.